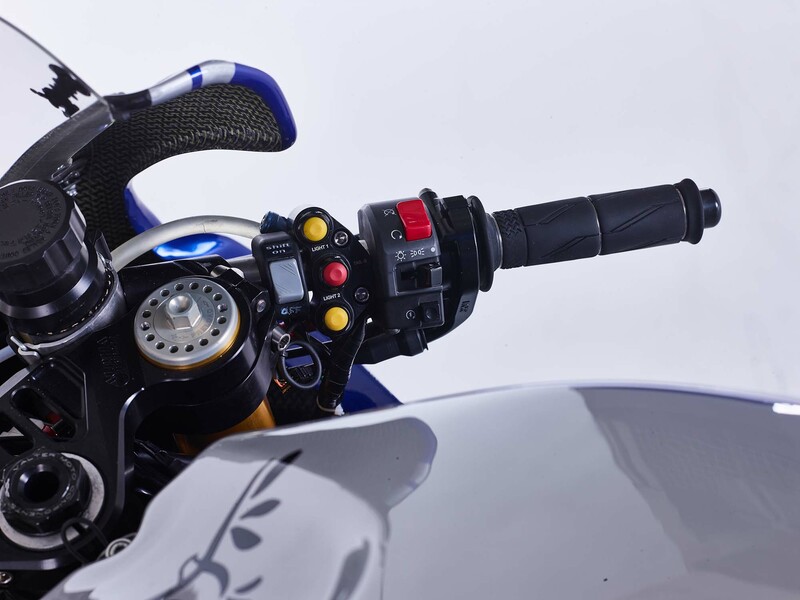 I was reminded by a recent post on Racing Café about the FIM Endurance World Championship, which despite being headed to its third round of the season (at Suzuka), is fairly wide open Championship for its top teams. 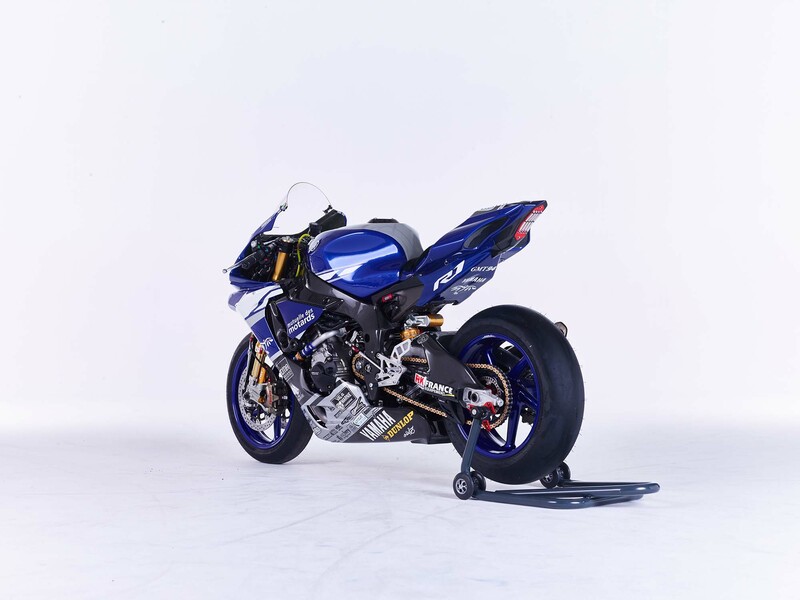 At the top of the standings is Team April Moto Motors Events, which is an unfamiliar name to us, but they are campaigning on the venerable Suzuki GSX-R1000. 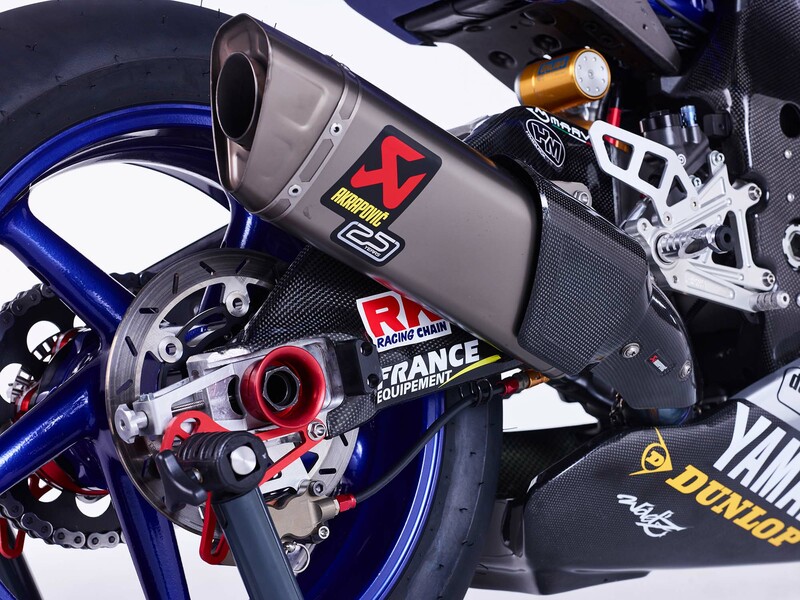 Usually dominating on that machinery is the Suzuki Endurance Race Team (SERT), who are sitting in third, seven points back in the standings. 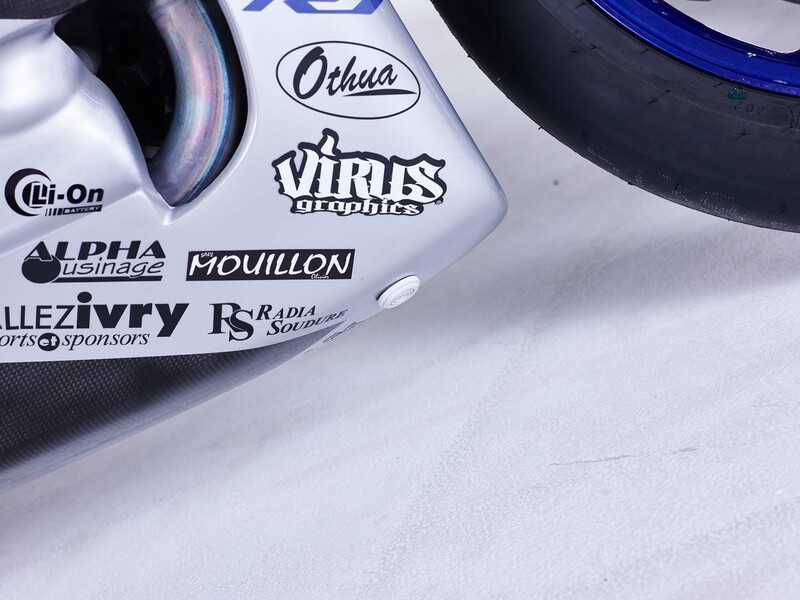 Between them is the SRC Kawasaki squad, who won the opening round at Le Mans, and is always a strong contender. 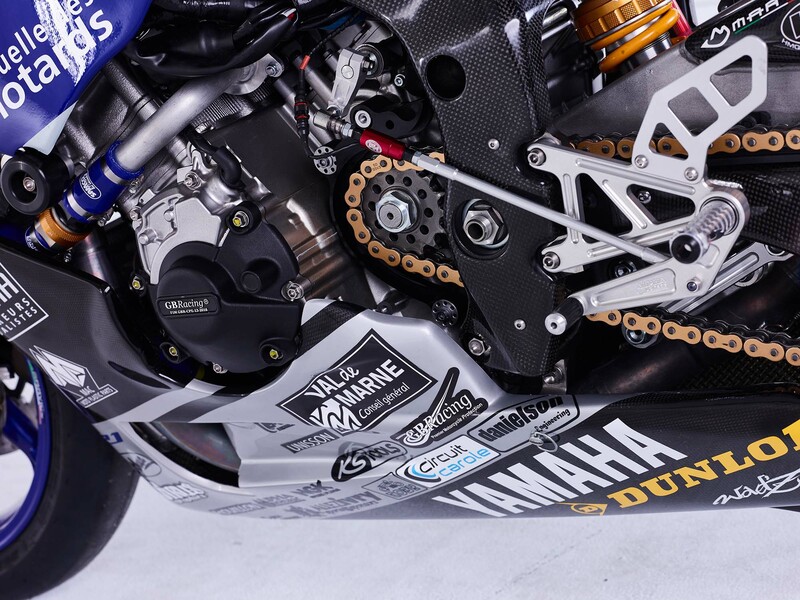 You also can’t discount the GMT94 Yamaha squad, who just recently won at Portimao – the second round on the schedule. 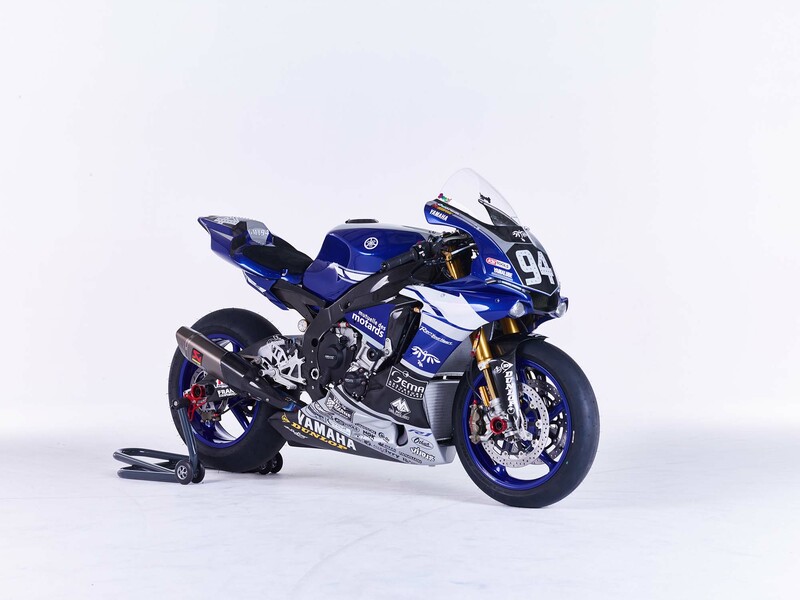 The Suzuka 8-Hour is sure to disrupt the field even more though, as the track’s specialty outfits often out-class the EWC regulars. 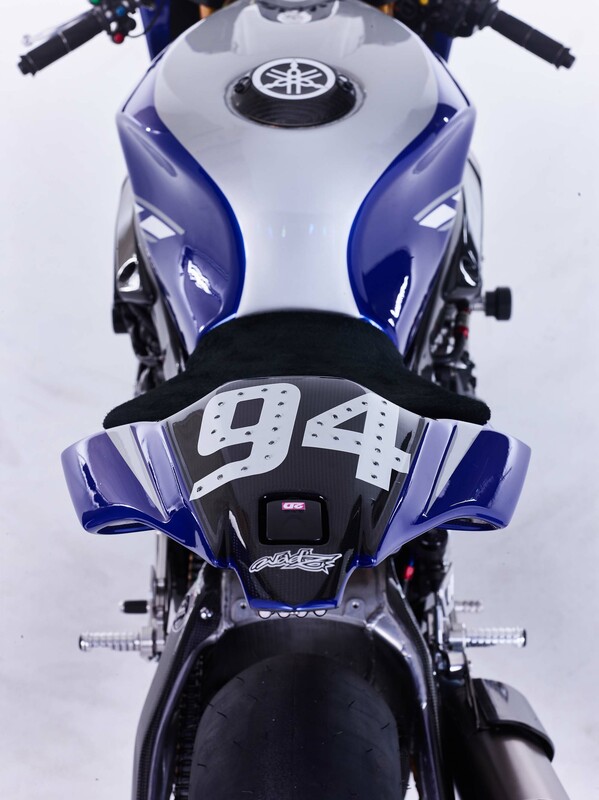 For instance, expect to see Nicky Hayden and the MuSASHi RT HARC-PRO team scalping some points in the process. 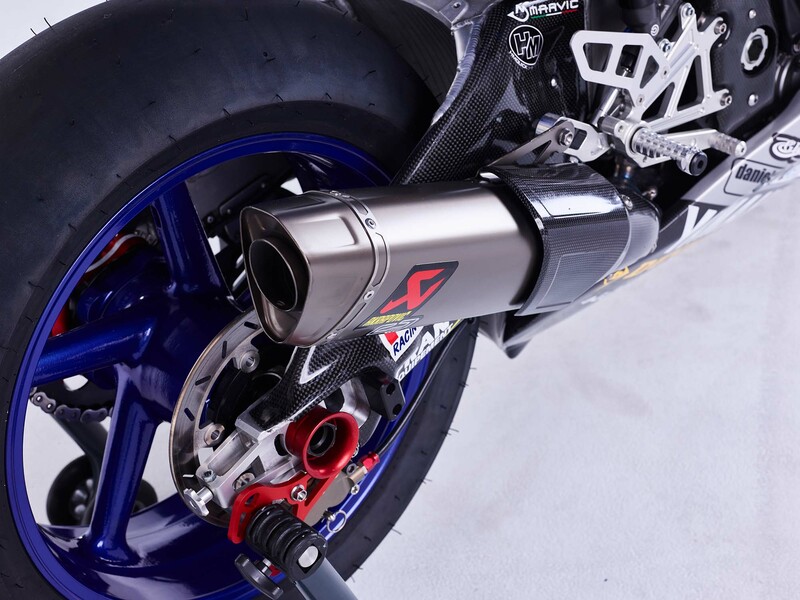 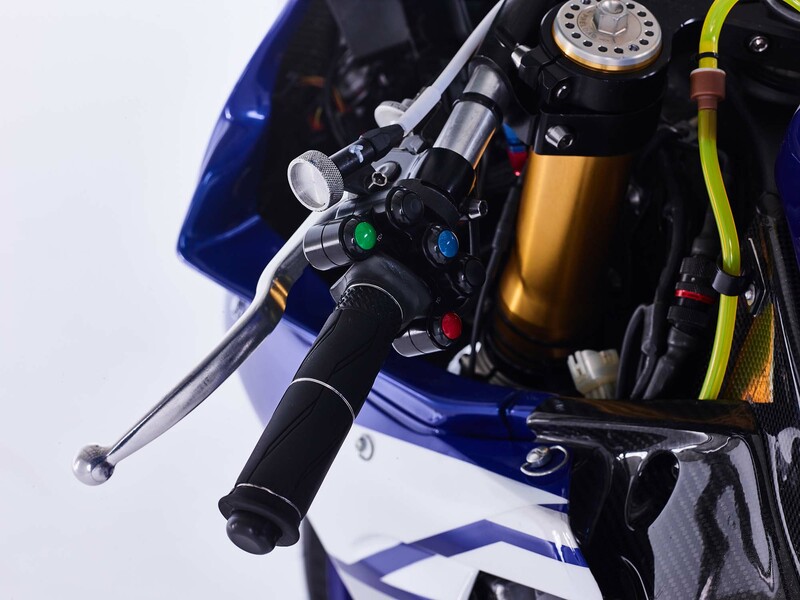 This means fewer points will be taken home for the factory teams, which only adds more credence to the FIM Endurance World Championship going to down to the season-closer, at the Oschersleben 8-Hour in Germany. 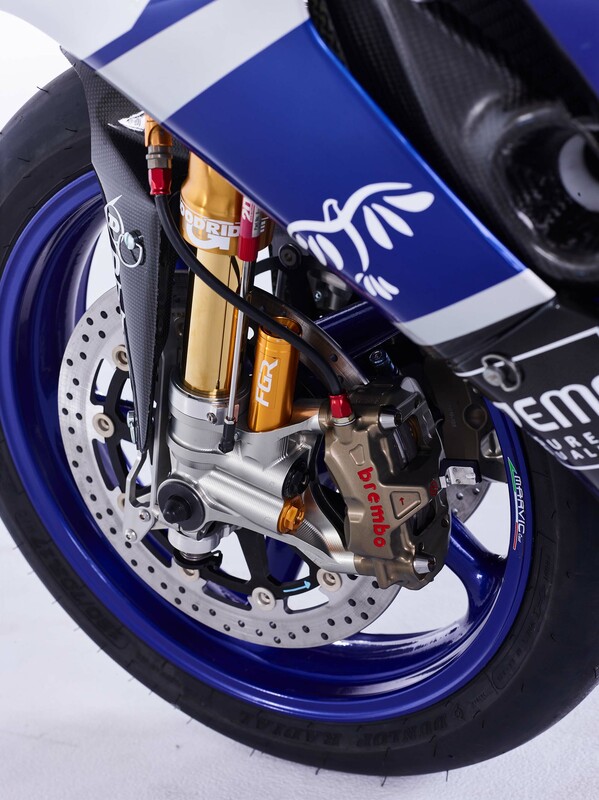 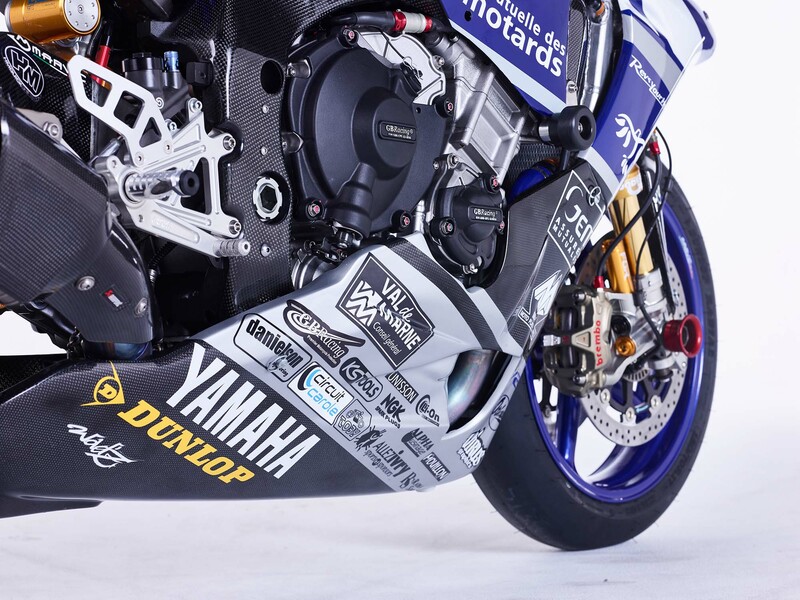 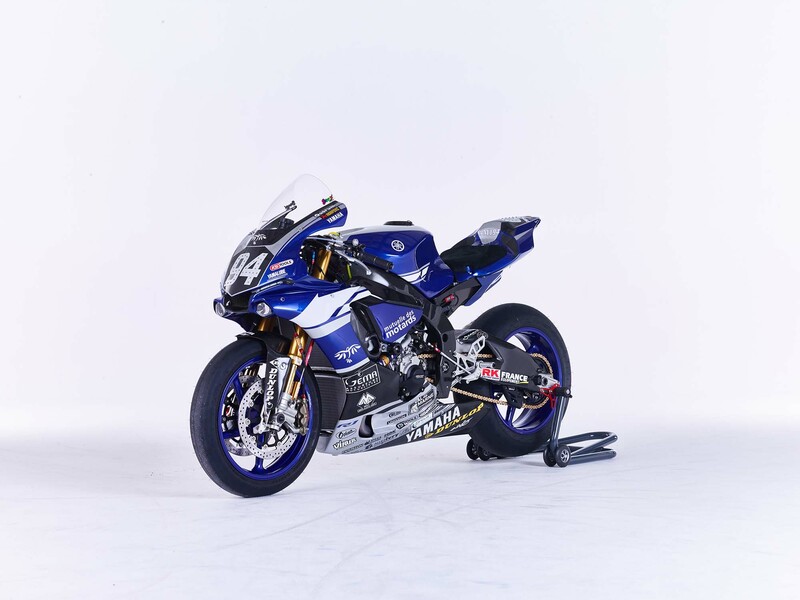 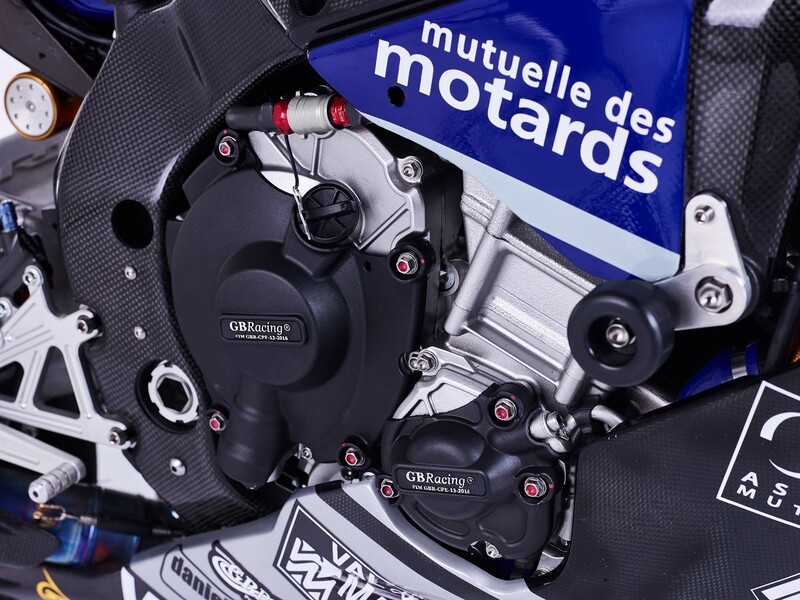 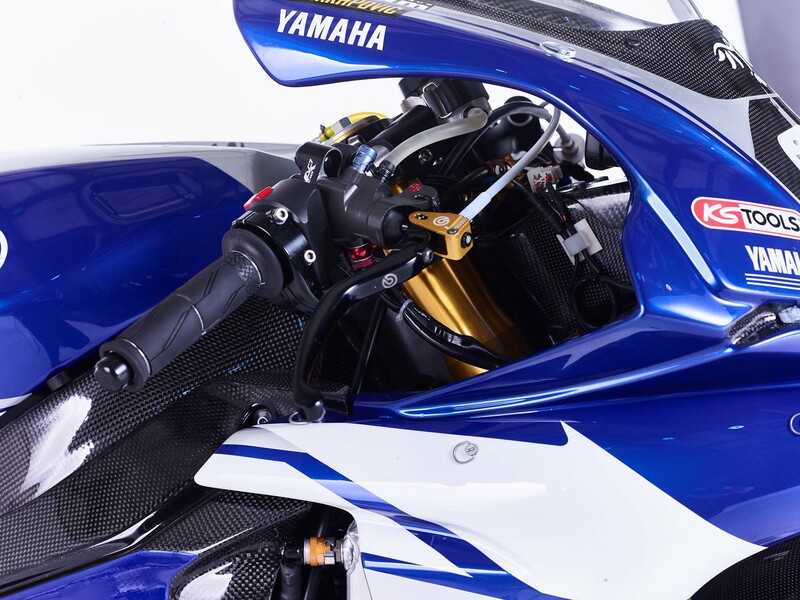 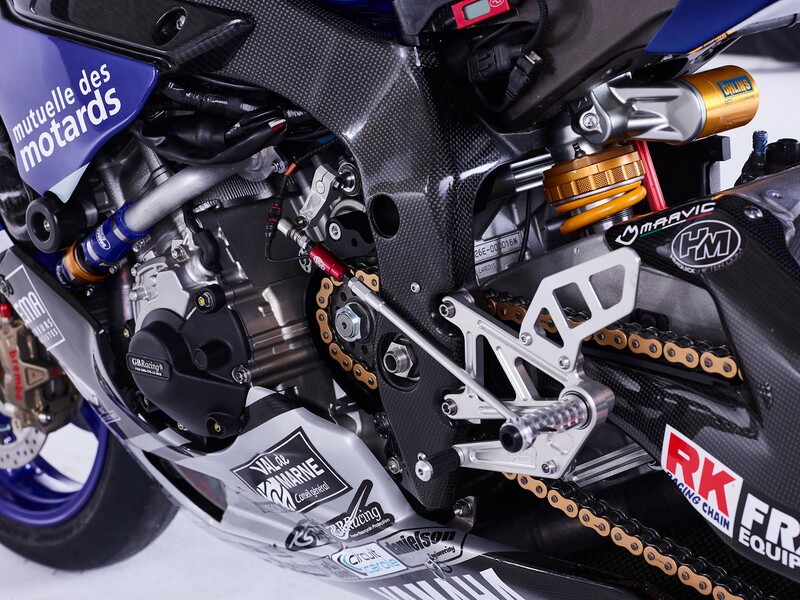 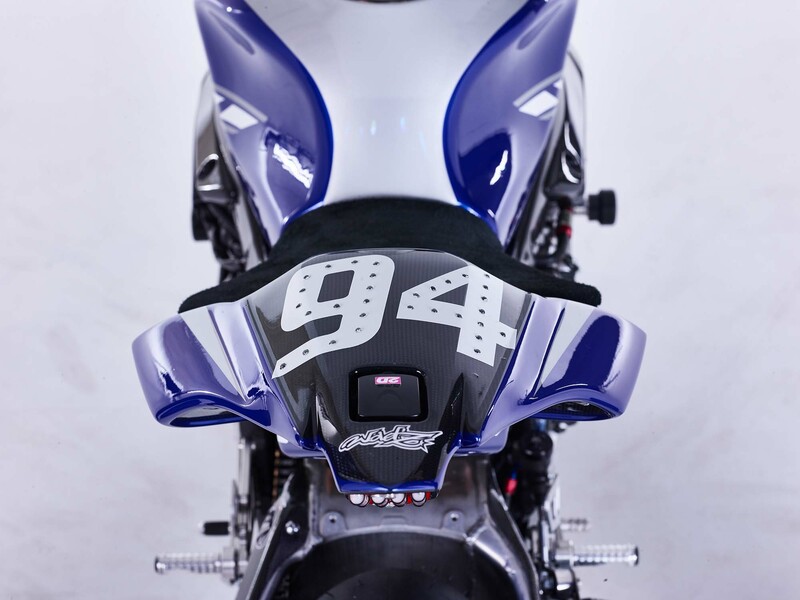 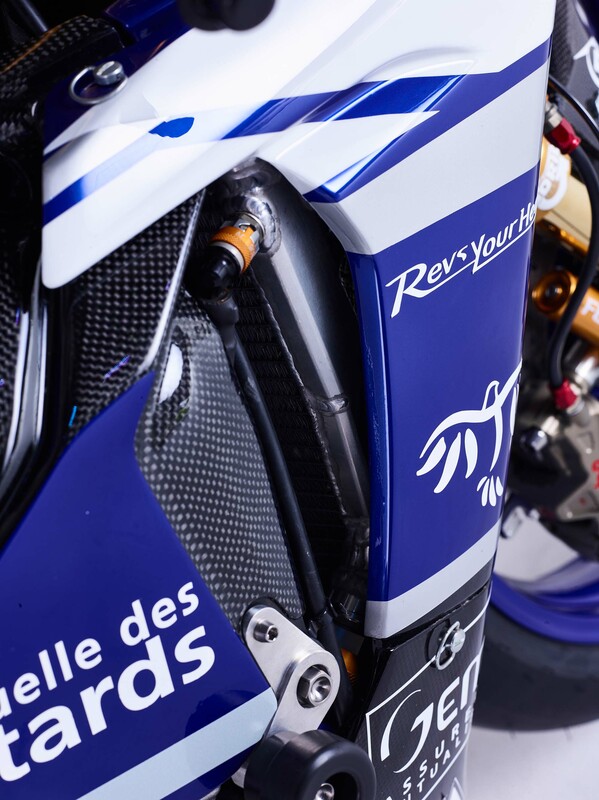 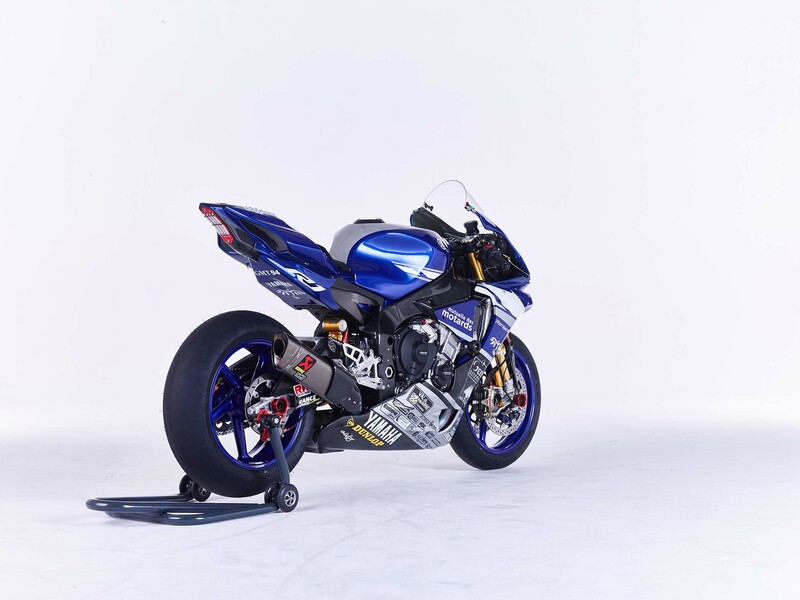 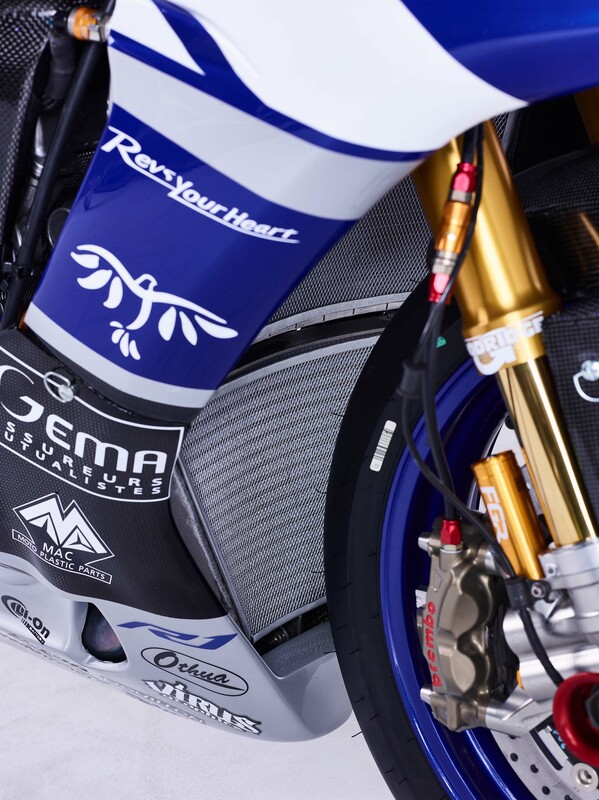 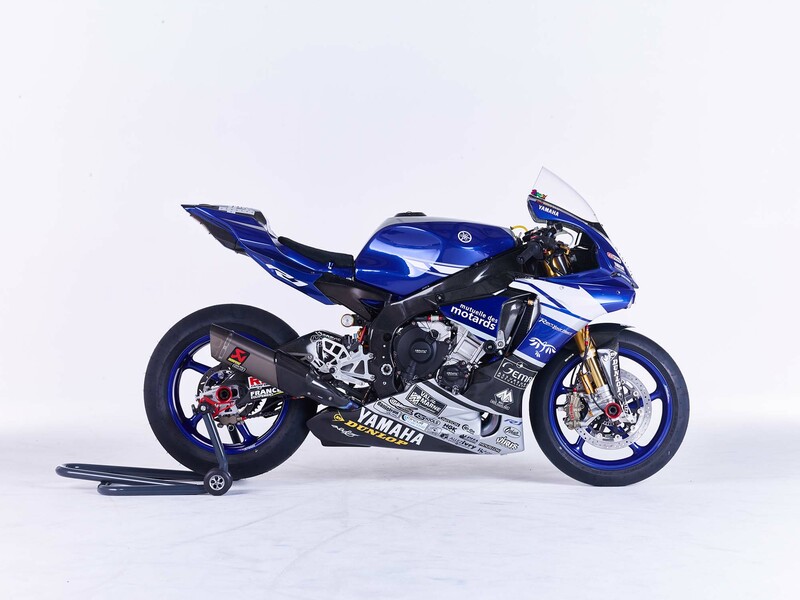 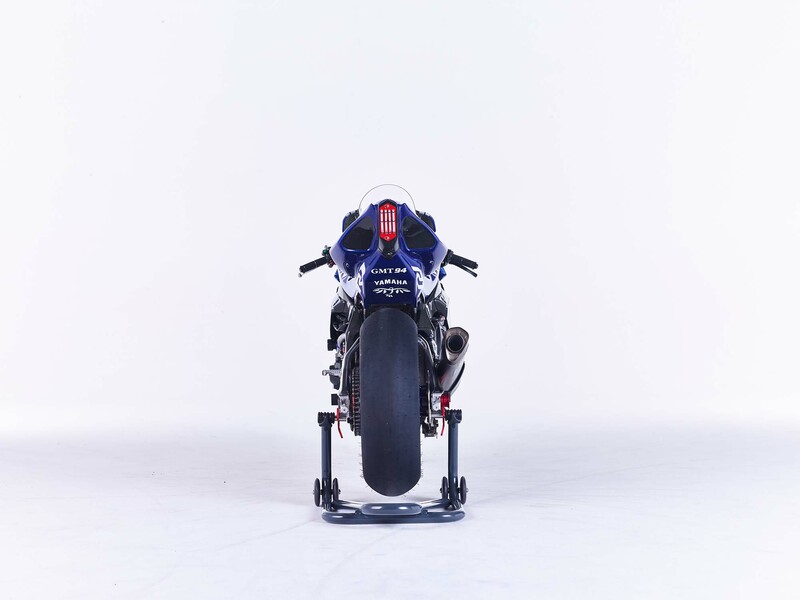 To help fuel the fire of interest in endurance racing, today we bring you some high-resolution photos of the French-based factory-backed Yamaha, the GMT94 Yamaha Official EWC Team. 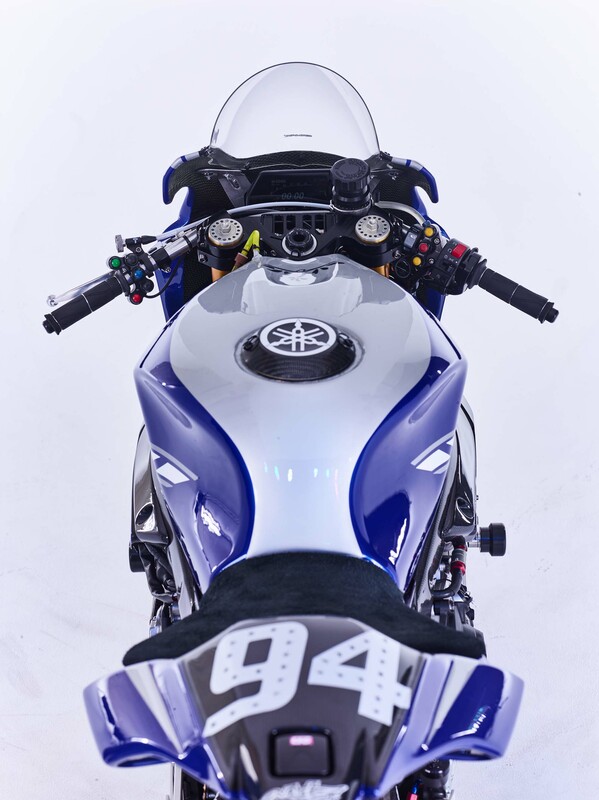 Tomorrow, will bring you some photos of their sister squad, and rival, the Yamaha Austria Racing Team (YART), who run the same platform, but have a very different machine. 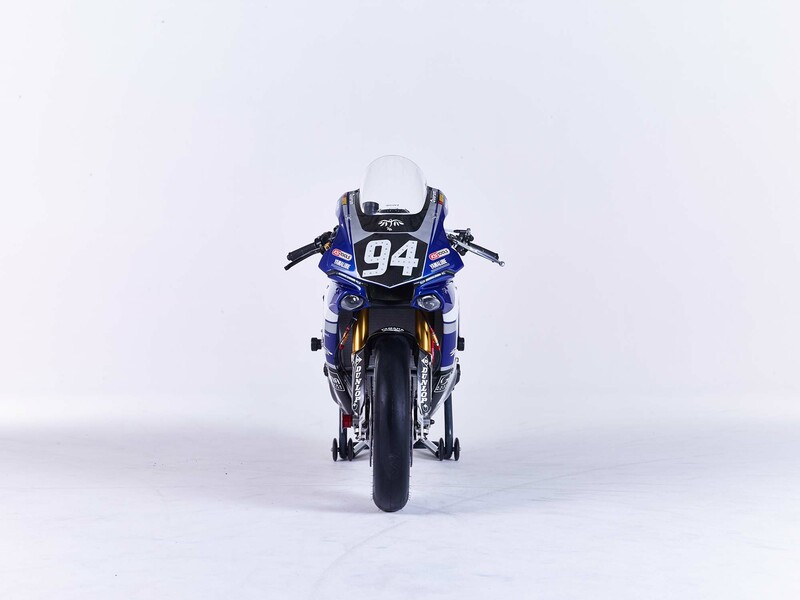 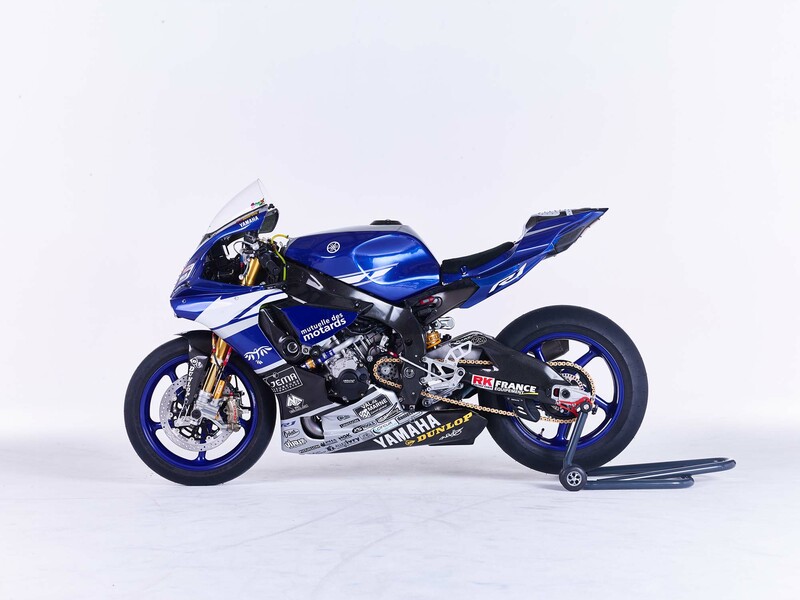 GMT94 Yamaha claims over 210 horsepower from its 999cc crossplane inline-four engine. 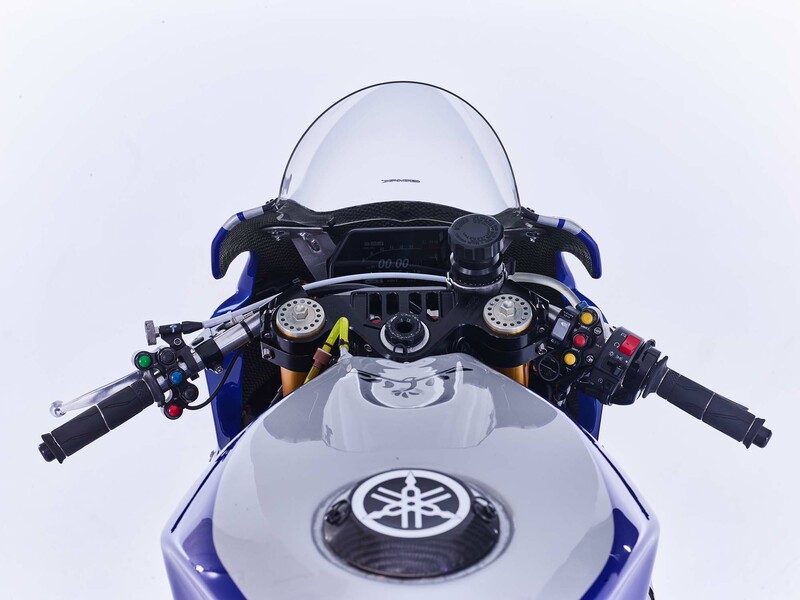 That might not sounds like an impressive figure for an R1, considering the current Yamaha YZF-R1 makes nearly makes 200hp in stock trim. 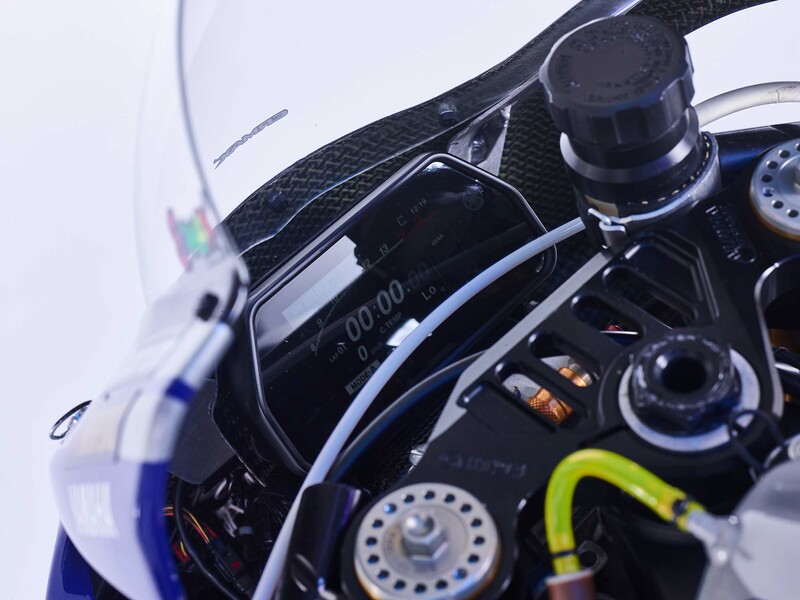 However, one should remember that a big component to endurance racing is reliability. 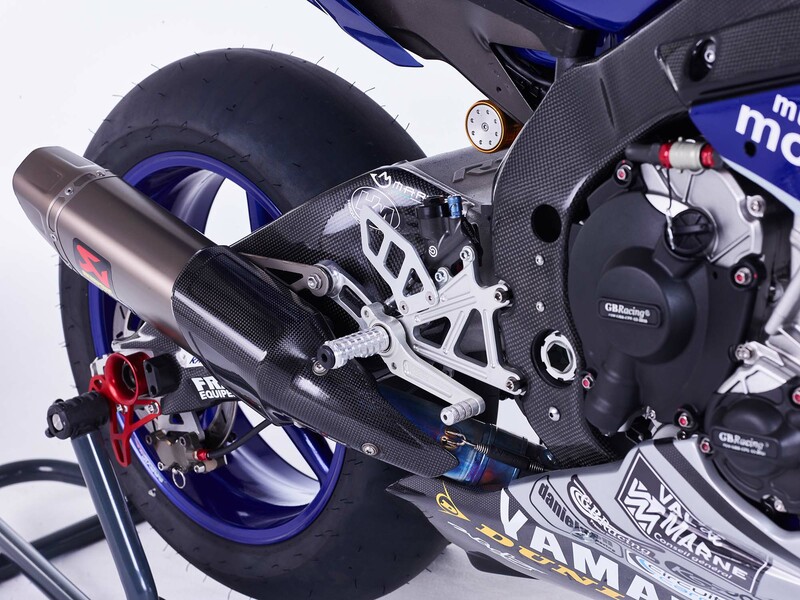 More impressive is the claimed wet weight of 380 lbs, which includes the team’s enlarged six-gallon fuel tank and various pieces to ensure survivability during a crash. 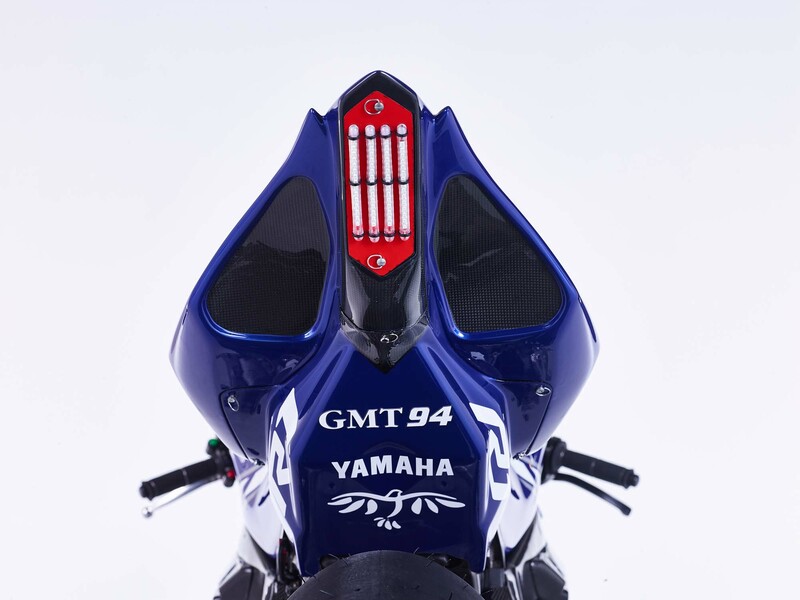 You can see some more clever weight-saving items in the photos below, such as the LED tail light that the team crafted.